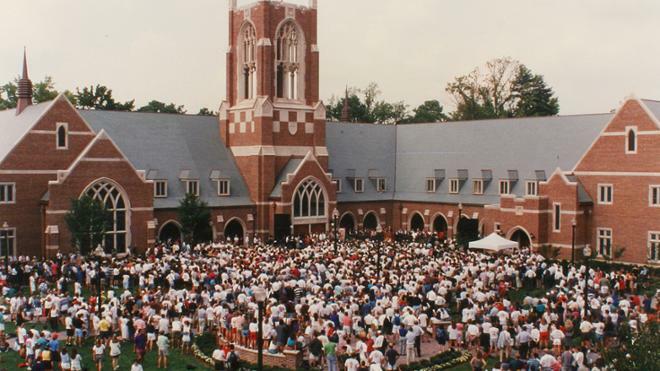 The University of Richmond Jepson School of Leadership Studies is marking its 25th anniversary with a yearlong celebration of its work preparing students to assume positions of ethical and effective leadership. Founded with a generous gift from Robert S. Jepson, Jr., a 1964 graduate of the University of Richmond, and his wife, Alice, the Jepson School of Leadership Studies opened in fall 1992 with the purpose of educating students about leadership so they can become active, thoughtful, and effective participants in the world. The School has grown to include 15 full time faculty members and has produced 1400 alumni who span the globe and pursue careers in healthcare, business, government, education, and nonprofit industries. Classes draw from the humanities, the social sciences and the field of ethics and emphasize critical thinking, effective communication, ethical reasoning, and conflict negotiation. Students translate theory into practice through experiential learning opportunities, and every leadership studies major completes 240 hours of field work at an agency, organization, or business through a for-credit internship. Events throughout the year will emphasize the need for responsible leadership throughout in all organizations and industries.